yes, starting from 57 package(s) with 16 pcs. 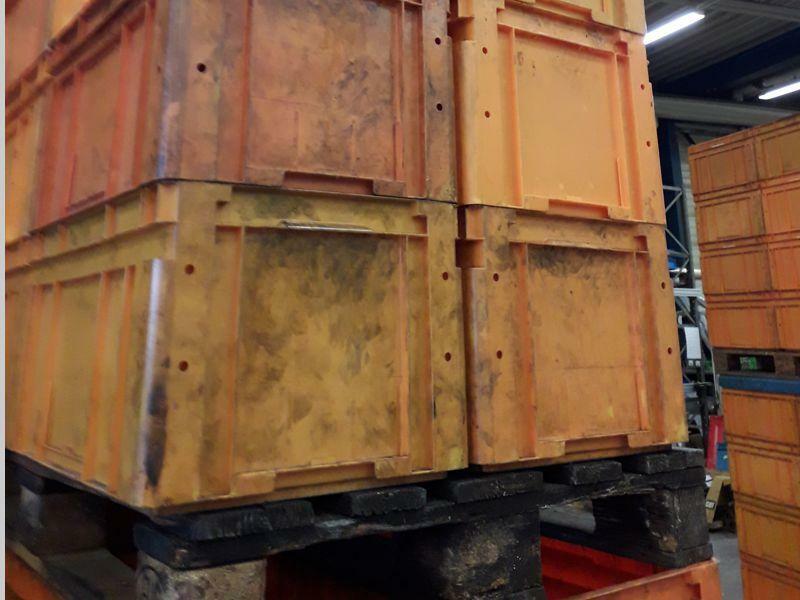 each euro pallet (to be change). Due to the transport of deep-drawn parts made of steel, the Eurotec containers have oily adhesions and partially adhering label residues. The bottom and side walls of the containers are closed. Label holders are located on one transverse and one longitudinal side. 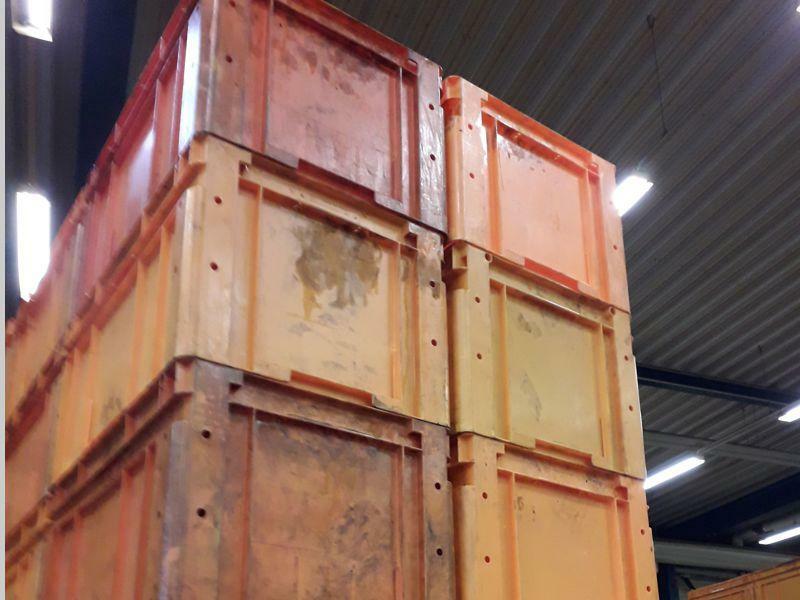 The Euronorm container also has bottom grips. The volume measures 63 litres.